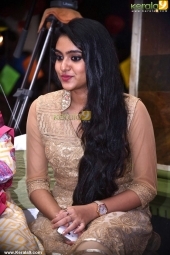 Basheerinte Premalekhanam Malayalam Movie Pooja Photos. Basheerinte Premalekhanam Malayalam Movie Pooja held at Kochi. Madhu,Sheela,Fahadh Faasil,Nazriya Nazim,Sana Altaf,Vinay Forrt,Renji Panicker and many other celebrities are attend the movie launch function.